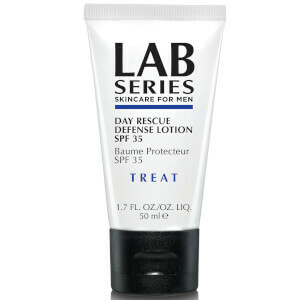 Protect your skin against daily aggressors with Lab Series Skincare for Men Day Rescue Defense Lotion SPF35, a weightless sunscreen that helps to minimise the signs of ageing. Powered by HYDRA-ENDURE Technology™, which contains extracts from plants known to endure harsh conditions, the moisturising formula creates a barrier over the skin surface to protect against UV radiation, free radical damage and environmental pollution. 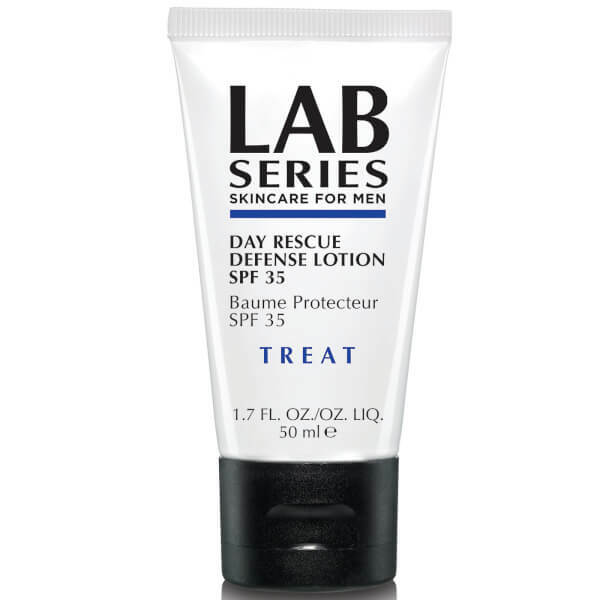 The sheer sun cream maintains hydration to stop skin from becoming dry and uncomfortable, ensuring the complexion is healthy, radiant and youthful. 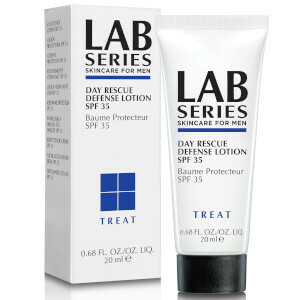 Apply all over clean face and neck.